Circa 1930-40. 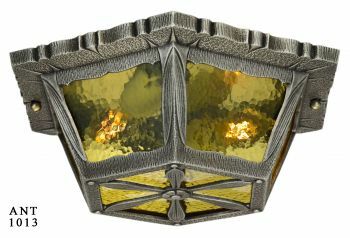 The pewter finished metal frame is rustic in nature and chock-full of design elements, the yellow/amber glass panels are in great shape. This fixture contains a cluster of two normal medium base light bulb sockets. It was re-wired in our UL shop. Nicely done. The method of mounting is to screw the base plate (un-seen in the photographs) onto an approved UL box. The base plate has the two medium base normal sockets attached to it. 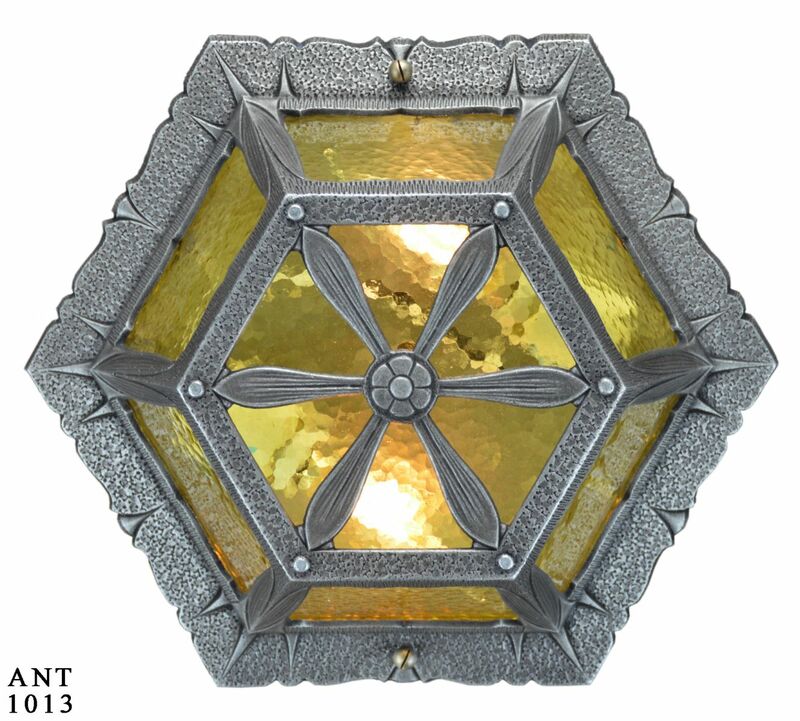 Then the decorative frame with glass is attached to the base plate, with the two ball screws. So...when re-lamping..the case is un-screwed to reveal an easy re-lamping format. 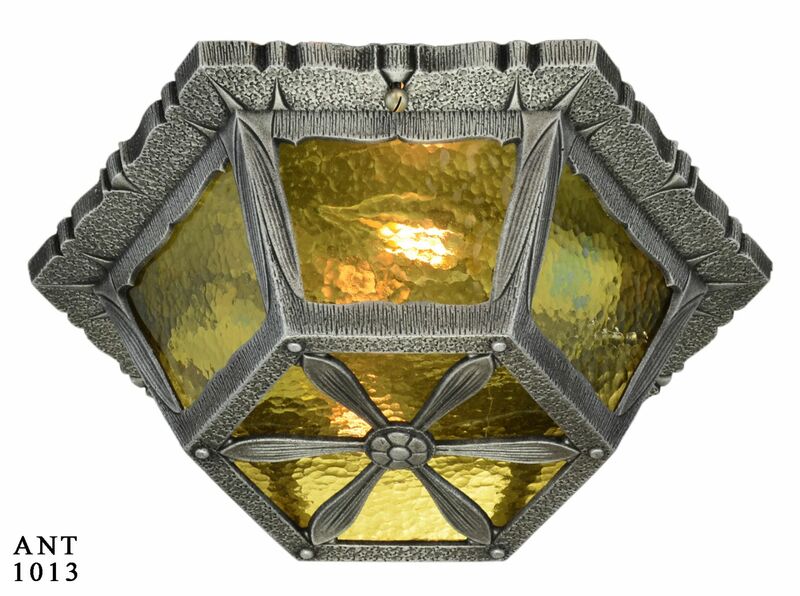 Measurements: This Hexagonal fixture measures 12” wide and is 4 1/2” in height. 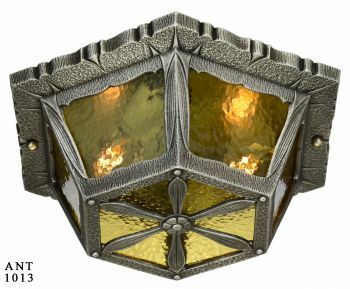 Perfect for a small room or even hallway that needs a decorative touch but limited height. Price: $ 395.00 which includes the yellow/amber glass panels. Shipping is extra.